Alabastra is the plural of Alabastron which is par excellence the container that, in the Mediterranean since the antiquity, enshrines liquids and precious fragrances. The Alabastro is a hard stone, refined, permanently shiny treasuring throughout Time the most refined essences. As the stone recalls its name, Alabastra is a solid and young company which embodies in its products, the results over years of research, study, experimentation passion that of its company owners. Their stylistic imprint is given by sobriety and absence of improvisation with a constant attention gathering change and innovations, inspired and often shared with those who have left a deep sign in modern enological technique and in the worldwide taste. The company’s products are presented with a well-defined characterization, given by its colours , perfume and flavourings, herbs and spices, expression of different grapes, raised in the best sites, looked after by skilled farmers respectful of the fruit and land. The chosen productive method was in sign of an enological tidiness which makes them defendable from homologation and recognisable. Angelo Antonio Valentino and Lucia Pintore achieve with Alabastra, a long career path in the world of wine which sees them joined together in life and in mutual profession, even though different but strictly connected. 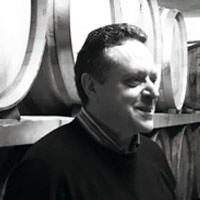 Angelo of Campania, from Avellino, is an enologist since 1989, graduates in enology in Naples, in 1995 at Portici’s University. He works as a self-employer and is a consultant of many companies in his region. 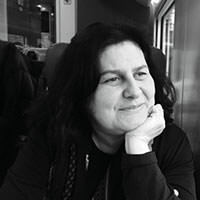 Lucia of Cagliari, from Sardinia, is a professional sommelier winner in 1987 with the title of The Best Sommelier of Italy and she works as a free professional and consultant in wine industry for institutions and private companies since 1985. Due to this, as they enjoy repeating themselves, their wines don’t follow any fashions but only vintages and they are never a consequence of causalities but designed for being the result of stability with an eventual evolution. 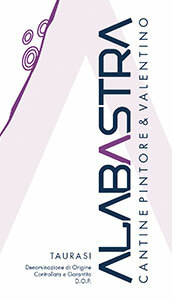 Alabastra is a contemporary company projected into the future. A future not so faraway in which it is hoped that their son and daughter Luigi and Eleonora could and would continue in taking up the parents’ path with love and desire of knowledge, passion and devotion that Angelo and Lucia put in their enterprise. The soft pressing of grapes and a cold static decantation have preceded the beginning of alcoholic fermentation, which has been conducted with varietal yeast at a controlled temperature and that concludes within 90 days. At the end of the fermentation, the wine has been decanted, refrigerated, filtered preserving not only the natural colour but even the varietal aromatic profile. Evolutionary projections: wines already enjoyable but with large potentials of evolution. Intense in a contest of good complexity, standing out sensors of fresh fruit, wild fennel, floral notes of tilia and distinguishing clear minerals. dry with a courteous softness, contrasted by an excellent freshness and accompanied by an imposing savoury. Important body structure supported by a long persistent and intense aromatic. Straw-yellow with delicate golden reflections, very bright. Intense in a contest of discreet complexity, standing out sensors of fresh ripe fruit, peach, apricot and floral sensors of acacia. It is distinguished clear mineral expressions. 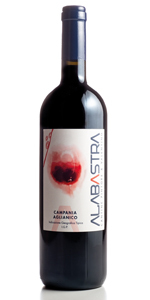 Dry, with an important softness that stands out a courteous acidity and an outstanding savoury. 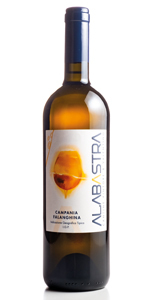 A decisive body structure supported by a long persistent and intense aromatic. Intense in a contest of great complexity, standing out the notes of exotic ripe fruit and candied citrus fruit, with floral broom flowers, acacia and magnolia recalls along with notes of toasted hazelnuts, distinguishing clear mineral expressions. Dry with a silky softness that contrasts the fresh expressions of acidity, becoming courteous , underlying an imposing savoury. Captivating its body structure and lengthening the persistent and intense aromatic. The grapes destemming have preceded the beginning of the alcoholic fermentation with maceration which has been conducted with wild yeasts at a controlled temperature. During the fermentation with maceration, it has been done within two daily pumping-over for about a period of 10/12days, at the end of which it has been racked. 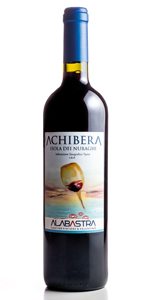 At the end of the fermentation, the wine is decanted, left in steel the Campania Aglianico and the Isola dei Nuraghi , instead the Taurasi has been aged in barrels. deep ruby red particularly lively. Intensely fruity, standing out sensors of blackberries and jam of black cherry, delicately floral with distinct recalls of violets; with slightly spicy liquorice. Dry with warm and soft notes , well- supported the acidity, with soft tannins and decisive tastiness. A good corporal structure and the aromatic persistence which interposes in a harmonious contest. dry with warm and soft notes, well - supported the acidity, with soft tannins and decisive tastiness. A good corporal structure and the aromatic persistence which interposes in a harmonious contest. 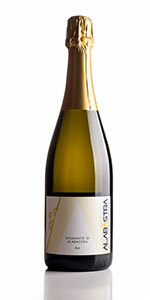 intensely fruity and floral, of exotic fruit, ripe citrus, broom and tilia. It stands out good fragrances jointly along with notes of toasted hazelnuts and wild fennel. dry with an imposing freshness and savouriness. Corporal discrete structure with caressing intervention of perlage to which ensues a good persistent and intense aromatic.